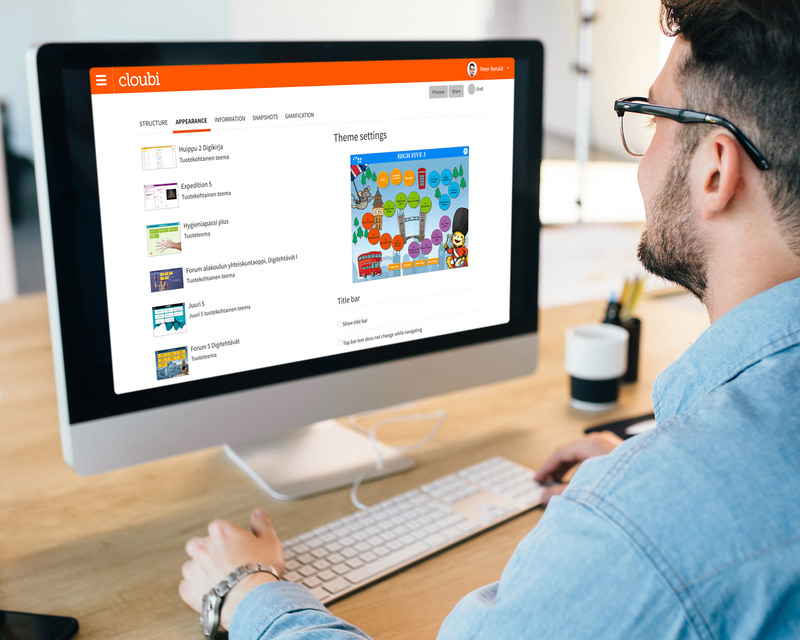 The theme of a Cloubi product determines the product type: the navigation model and visual appeal of the whole digital learning material. You can apply different themes to previously created products with the click of a button, changing how the product looks and feels to the learners. The Theme Editor allows content creators to apply a wide variety of visual and styling options (typography, colours, element shapes and borders and task elements, for example) in previously created themes and navigation models.